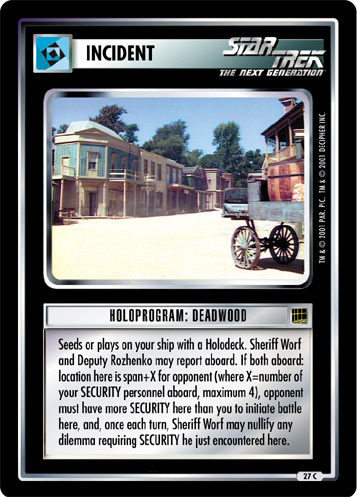 Seeds or plays on your ship or facility with a Holodeck. 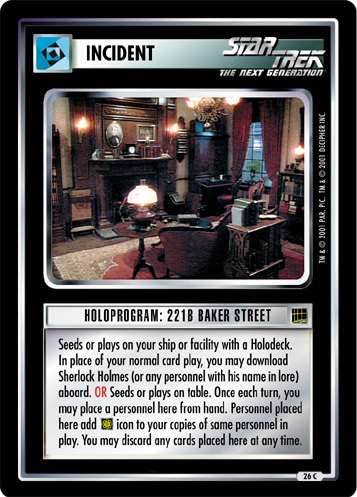 In place of your normal card play, you may download Sherlock Holmes (or any personnel with his name in lore) aboard. OR Seeds or plays on table. 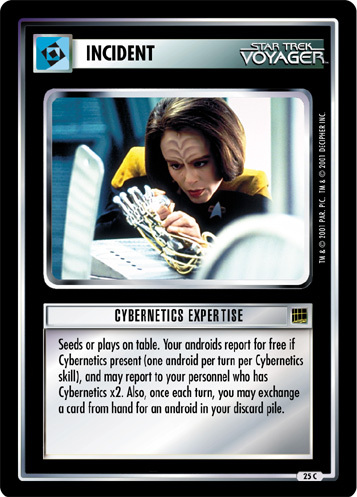 Once each turn, you may place a personnel here from hand. Personnel placed here add icon to your copies of same personnel in play. You may discard any cards placed here at any time. Image Source: The Next Generation: "Ship in a Bottle"